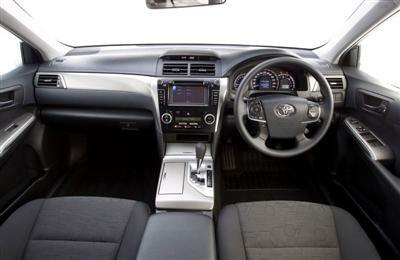 The launch of 3.5-litre V6 Toyota Aurion has completed the roll-out of Toyota's portfolio of new locally made models. The upgraded five-model Toyota Aurion range is priced* from $36,490*. Aurion's distinctive styling and occupant comfort levels provide clear differentiation from other cars in its market segment. 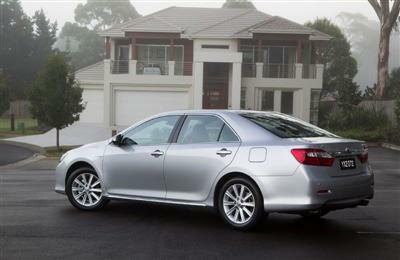 Second generation Aurion is the most powerful Toyota made in Australia. It generates 200 kW at 6,200 rpm on 91 octane fuel. Toyota Aurion delivers the best fuel economy in the 3.5-litre class in the large passenger segment - six per cent better than the first generation**. Tailpipe emissions have been reduced by eight per cent**. Aurion is lighter and slightly larger than the vehicle it replaces. It incorporates technology advances in drivetrain and active and passive safety strategies which have only recently been developed. 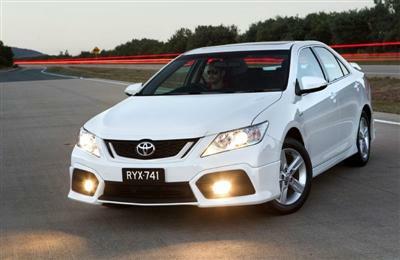 Aurion, like the locally made Camry, benefits from new computer numeric control (CNC) machines at Toyota Australia's Altona plant which allow even more precise manufacturing techniques. Panel fit, for the Aurion, in many instances has been reduced from tolerances of 5mm to just 3.5mm - the domain of a very few luxury cars. 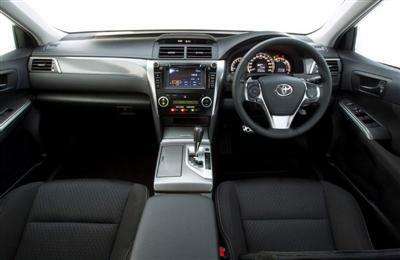 Interior quietness will be a hallmark of second generation Toyota Aurion. The articulation index of interior audibility has been improved by more than 10 per cent. Ride and handling has been improved in all areas as a result of extensive local testing and development. 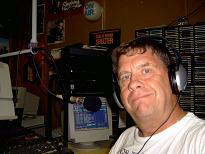 User-friendly modifications have been made in many small but important ways. The centre console storage area is longer, and the boot loading lip is lower to the ground for easier loading. Interior dimensions have been increased to provide even more legroom, and in particular, greater headroom for rear seat occupants. Seats have increased in size while being made even more supportive. 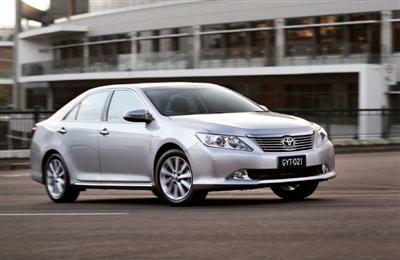 Toyota has sought to refine its value proposition to Aurion buyers. As an example, Toyota has further improved its capped price logbook servicing proposition to four years/75,000km (whichever occurs first) up to the first five service periods^. 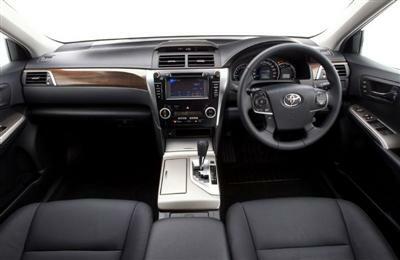 "Aurion has become a favourite amongst experienced motorists," Toyota's executive director sales and marketing Matthew Callachor said. "Since its launch in 2006 Aurion has become something of a hallmark for private buyers who do not see the need to enter the market above the luxury car tax threshold, but who still want distinctive luxury features." 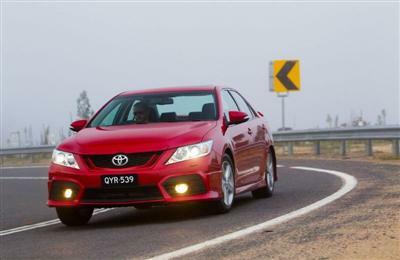 "Toyota's goal with second generation Aurion was to even better meet those requirements." "There will not be a current generation Aurion owner who will not appreciate the improvements in the new vehicle and who won't be tempted to trade-up." Mr Callachor described second generation Aurion as an expansionary vehicle. "Styling, technical and manufacturing improvements all point to Aurion expanding its market appeal," he said. "There is a strong market for a powerful prestige vehicle." "Aurion is rightly, and discretely, earning a reputation as a vehicle of quality." "Second generation Aurion will enhance that position." 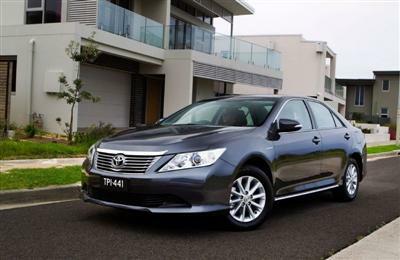 Second-generation Toyota Aurion has five model grades, all with 3.5-litre quad cam V6 engine and six-speed electronically controlled transmission. All models are well specified, with seven SRS airbags (including driver's knee airbag for the first time), seatbelt warnings on all five seats, vehicle stability control (VSC), traction control (TRC), dual-zone automatic climate-controlled air conditioning, reversing camera, five alloy wheels, 60/40 split-fold seats for the first time, multi-information display, Eco indicator, display audio with USB input and iPod® connectivity (not all devices may be compatible), acoustic windscreen, dual exhaust, chrome rear garnish and rocker moulding, Optitron instruments and integrated side indicators in the exterior mirrors. Virtually all these features are enhancements over the current AT-X (the base model), confirming the high level of specification in the new Aurion AT-X. The entry-level model also has a power-operated driver's seat with lumbar support. Toyota Aurion AT-X can be optioned at additional cost with a leather-accented interior or 17-inch Sport alloy wheels, or both. The Prodigy model adds the interior features of premium four-spoke steering wheel, leather-accented interior with premium door trim, electro-chromatic interior mirror, electric rear sunshade, driver's seat memory (including exterior mirror settings), power-operated front passenger's seat and smart entry/smart start. Outside, it has 17-inch alloys, rain-sensing wipers, exterior mirror dipping in reverse, front foglamps, chrome door handles, front and rear clearance sonar, and metallic/mica paintas standard. A moonroof is available as an option at additional cost on the Prodigy model. The new flagship Presara model adds JBL premium audio with seven-inch screen display, digital radio, satellite navigation with live traffic updates (limited to certain cities) and back-guide monitor. The new Presara also has HID headlamps with the Toyota adaptive front-lighting system (AFS), automatic high beam, blind spot monitor (BSM), moonroof and additional woodgrain-look inserts in the instrument panel, door trims and gear shifter area. The Sport-grade models build from the features of the Aurion AT-X. The new Sportivo SX6 has the additional exterior features over the AT-X of sports suspension, 17-inch sport alloy wheels, front and rear spoilers, sports diffuser, front fog lamps and metallic/mica paint. 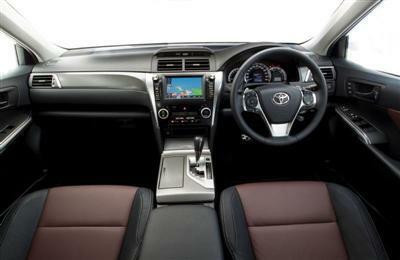 Inside, Sportivo SX6 has the added features over the AT-X of quick response paddle shift, sports pedals, premium three-spoke steering wheel, sports front seats, power front passenger's seat, sports Optitron combination meter and smart entry/smart start. The higher-grade Sportivo ZR6 model adds automatic high beam, rain-sensing windscreen wipers, HID headlamps with AFS, BSM, front and rear clearance sonar, and exterior mirrors dipping in reverse. 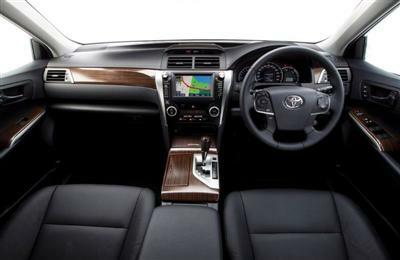 It also adds sports leather-accented interior with premium door trims, driver's seat memory including exterior mirror settings, JBL premium audio with seven-inch display, digital radio, satellite navigation with live traffic updates^, electro-chromatic interior mirror and back-guide monitor. A moonroof is available as an option on both Sportivo models. ** Fuel consumption and emissions will vary depending on driving conditions/style, vehicle conditions and options/accessories. ^ Excludes government-owned and rental fleet vehicles. 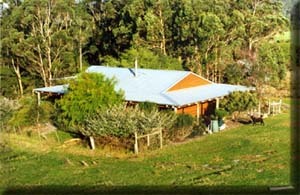 Conditions apply, certain exclusions are evident and eligibility requirements exist.